Poverty abounds in rural India. But many people have the initiative and the ability to drag themselves out of poverty, if only they can be given the means to do this. One well-established way of achieving this is through credit unions. 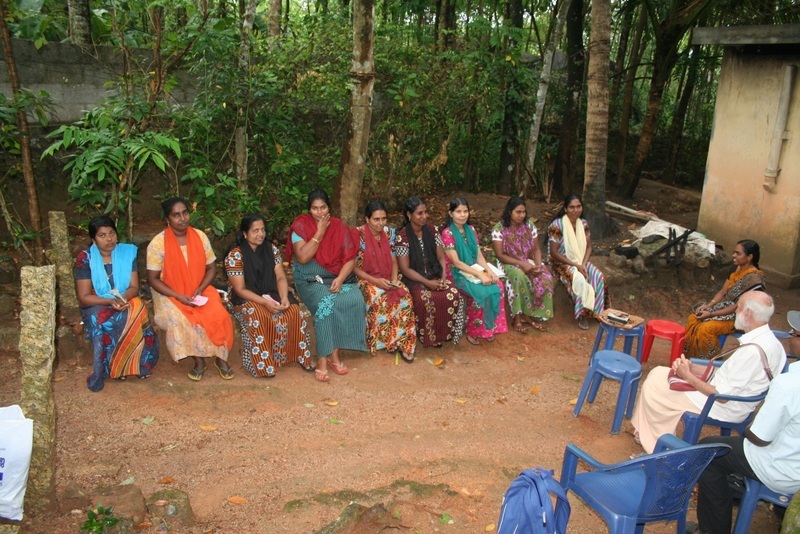 These are groups of about 10 to 20 women who meet together weekly. Each woman invests a small amount into the group each week, which is recorded in a book like a building society pass book. After contributing for a year or so, she becomes eligible to take out a loan from the group – but another group member has to stand surety for her (this is a way of minimising non-repayment). Loans are for all sorts of purposes – to pay for an operation, to buy a goat or a cow, to set up a small business, to pay for education, or to pay off a loan shark are all popular reasons. The loans are paid off, and then the money can be lent to someone else, and, combined with the subscriptions which continue to come in, more and more loans are possible as time goes on. 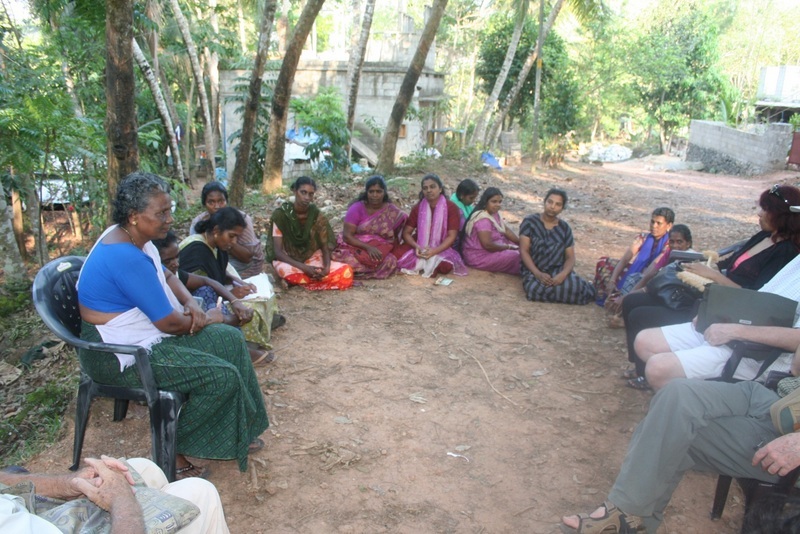 As the group gets established, it has the financial clout to obtain a loan from the banks – something that the individual women would be much less likely to get – and can make even more loans. The whole loan business snowballs. And it is all at very favourable rates of interest. Each group is constituted with a chairwoman, a treasurer, and a secretary. All the funds are kept is a locked box with three padlocks, and each officer has the key to only one – another security feature. As well as the financial side of things, the groups also provide a forum for discussion of the problems that the women face: drunken and violent husbands and adolescent children going off the rails are common, but there are also wider concerns such as pollution of the environment. The groups are made up of women from all walks of life, all religions, and all castes – thereby breaking down many of the cultural barriers and divisions of Indian life. In fine weather they meet outside, under the shade of a convenient tree; but in the wet season, they meet in a home – thereby breaking down yet another cultural taboo. Pastor Wilson runs his own charity, Bethany Gospel Mission (BGM) which does much the same sort of thing as the Banyan Tree, but in the area around the Neyyar Dam (the main water reservoir for Trivandrum). One of his great successes has been to establish some 120 of these groups, enabling about 2,000 families - 10,000 people - to benefit. Whilst the groups are self-supporting, they do need some administration, guidance, training and support so as to keep them running well; we provide Rs. 10,000 (£120) a month towards this. The effect has been out of all proportion, though. As one group memeber said to us recently, "The loan sharks don't come to our village any more". We also work through Pastor Wilson to provide goats, toilets, medical care and help to set up small businesses for some of the people in the area. 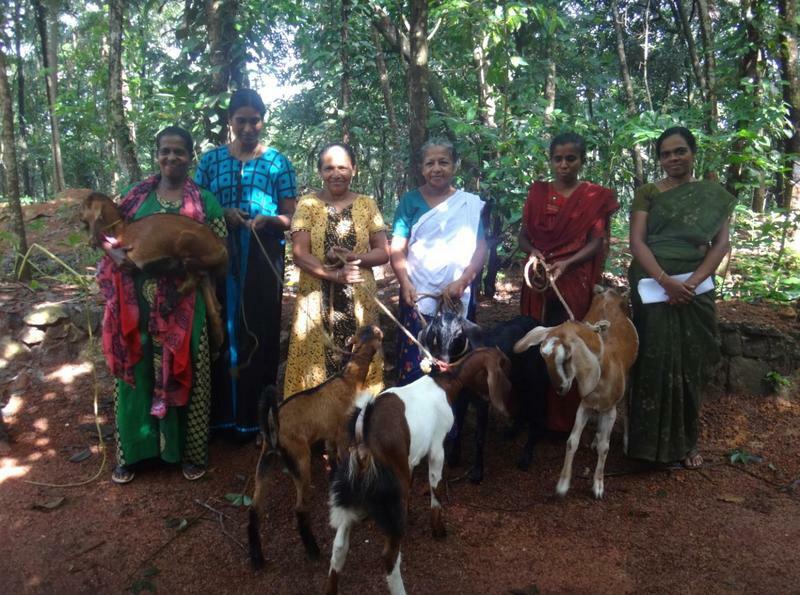 Credit union members with goats provided by HHI. They have promised that they will give the first kid born to their goat to another member.